As marijuana legalization continues throughout North America, there is still significant public and private interest resistance to its proliferation. One of the legal ground on which these cases have been tested throughout the country is a federal law known as the Racketeer Influenced and Corrupt Organizations Act of 1970, also known as RICO. As our Los Angeles marijuana defense lawyers can explain, this was a law intended to battle organized crime and the mafia. However, it’s been used in several recent federal cases to intervene with legal marijuana businesses and users – one of the most recent in Petaluma, California, marking what is believed to be the first time this legal argument has been used against marijuana businesses in the state. But in that case, as in many of the cannabis company RICO civil lawsuits pursued nationally, a federal judge has ruled against the plaintiffs. According to The Argus Courier, a U.S. District Judge held that neighbors of a cannabis company and its lead grower can’t be sued under RICO anti-corruption laws because nuisances related to noise and bad smells don’t cause the same kind of tangible financial losses intended to be addressed under RICO. Plaintiffs had alleged that the marijuana business had caused an odor many in the neighborhood had found to be “sickening,” and that this, combined with the loud noise coming from the property had resulted in diminished property values and life enjoyment. 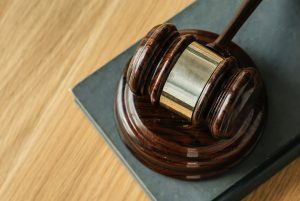 The federal judge in San Francisco didn’t rule that the complaints had no merit, but rather, in his 11-page decision, found the complaints raised were the result of personal injuries and nuisances. These, the judge noted, could not be compensated under the civil provisions of RICO. Unfortunately, the ruling comes about one-hand-a-half months after all operations at the firm totally ceased, per an agreement with the county’s department of permitting, which argued the company failed to comply with the entirety of local rules. A cannabis defense lawyer for the marijuana company told the newspaper the judge’s ruling was still a win, not only for his clients but also for other California marijuana companies who are the target of legal attacks just because neighbors don’t like the smell. He agreed with the judge that RICO, which allows civil recompense up to three times the actual damages for ongoing criminal acts, is not the appropriate way to deal with nuisance complaints. Plaintiffs still have 30 days to amend their claim if they did want to reassert a different damages on different grounds. Alternatively, they could pursue personal injury and property damage claims in the county superior court, as the legal standard to prove such claims is much different. It’s not clear if they will. According to some, they feel they’ve already won because the pot farm was shut down, something they say was only done because they pursued a federal lawsuit, forcing county officials to do their duty and enforce state and local codes, including permitting and licensing provisions. The company hasn’t decided whether it will reopen at the same location, calling the county a “very challenging” place to operate. RICO is pursued because only because despite being legal under state law, marijuana remains a Schedule I narcotic, still illegal for all purposes, under the U.S. Controlled Substances Act. Los Angeles marijuana business attorneys know the ruling does differ from the findings of a panel of justices for the 10th Circuit Court of Appeals, which did find plaintiffs in Safe Streets Alliance v. Hickenlooper, could use the RICO Act to pursue damages against state-licensed marijuana firms. However, when the case went to a jury trial, the court found plaintiffs failed to prove they had suffered injury or that the marijuana cultivation was the cause. That could mean other RICO marijuana claims may still be viable in other districts.Last year, a federal judge in the District of Massachusetts agreed to dismiss RICO claims in Crimson Galeria Ltd. P’ship v. Healthy Pharms, Inc., filed by plaintiffs in Cambridge against a not-yet-opened dispensary, arguing potential losses due to noise and smell, on the basis such claims weren’t ripe because the facility hadn’t opened yet.